By repurposing your top-performing social media posts, you will maximize the value of your existing content. By reusing, you are saving resources and time. Instead of constantly creating new content, repurposing takes what you already have and in turn boosts your returns. Take a look at your content calendar and select the content that you want to repurpose. 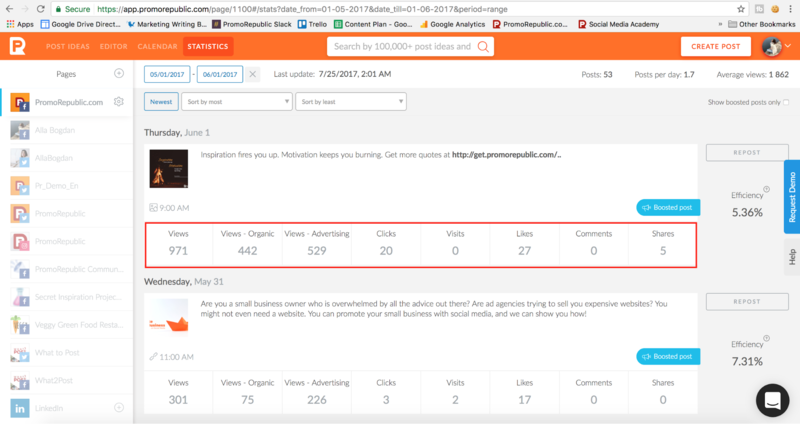 You can find out which content has the best results on each platform with PromoRepublic’s Statistics tool. Scroll through each platform for the last 3 months and highlight those that generated the most data. In its reports section, you can see which posts got the most engagement. You can even see what types of engagement they received. Repurposing all your best content across multiple platforms will increase your business visibility and create a more cohesive social strategy for your brand. Each platform has its favorite mediums like Instagram prefers visuals whereas Facebook leans towards linked posts and videos. Regardless, you still need to share all of your content on every social profile to get the most out of your posts. 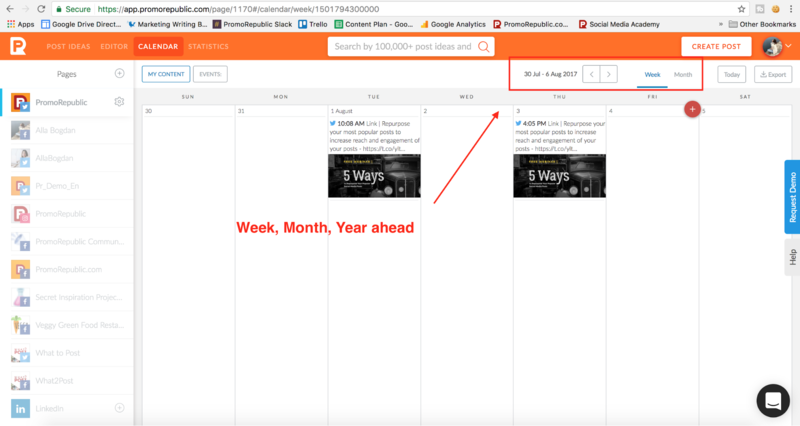 You can reshare your posts with PromoRepublic’s Content Calendar. When posting to your Facebook account, tap repost to modify the post and share it elsewhere. The biggest reason to repurpose content is to get even more results on your top-performing posts. To fully maximize the visibility of your content, you would do well by sharing your repurposed posts at a different time of the day and different days of the month and even the year. Use PromoRepublic’s Calendar to keep all posts for the month/year in one place. It’s so easy to manage all your profiles and content plan, all in one place! Have a catchy video with your product/service/team/brand? Set it as a Facebook Cover! Once people land on your Facebook page, the video starts automatically thus creating a more dynamic page and an engaging interaction for your Facebook fans and followers. When you know what type of texts your audience responds to, repurpose it for easy engagement. Many popular tweets are stand-alone text quotes. 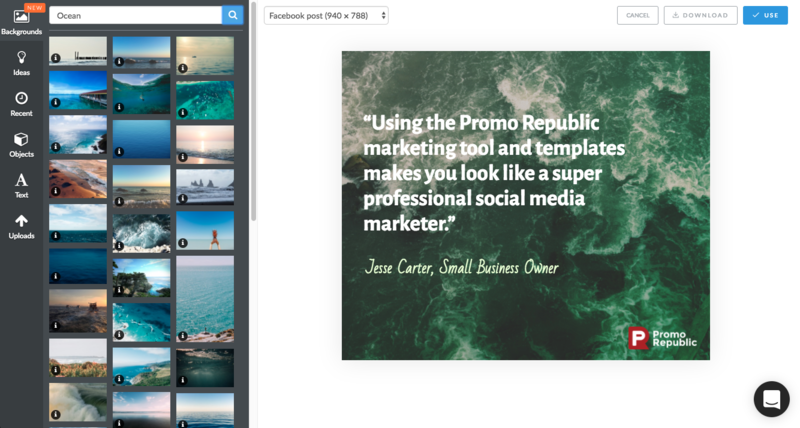 You can turn a common Twitter post into a nice visual with PromoRepublic’s Graphics Editor. You will find a lot of catchy icons inside the tool. Share testimonials as visual posts. Do not leave your best reviews in a Facebook tab; the chances that they will be seen are very low. Instead, turn them into bright visuals and publish them as posts. With PromoRepublic’s Graphics Editor, you have all the designer tools that you need. 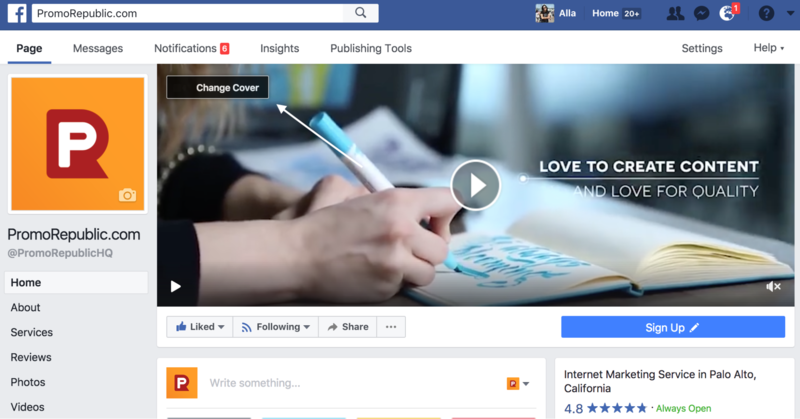 Since Facebook doesn’t attach customized visuals anymore, you need to change visual covers directly for your blog posts. You can either add some extra information to your blog post and change the title or simply rephrase it. 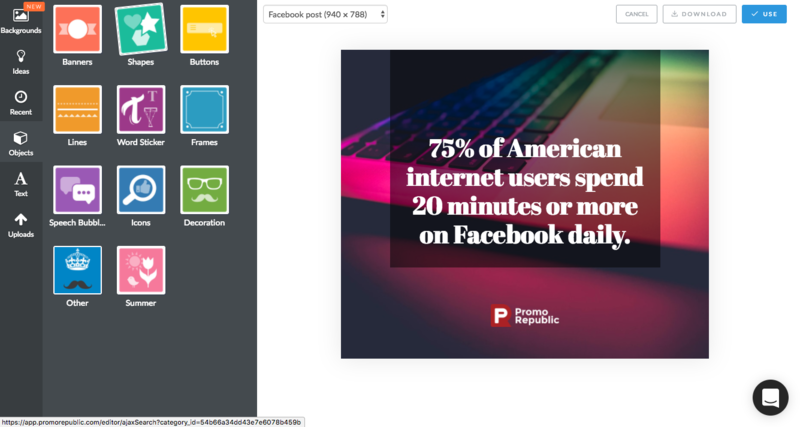 Use PromoRepublic’s Graphics Editor to create visual covers for your blog posts within minutes. Have you ever noticed how statistics, data, and interesting facts become viral very quickly? Take some out of your blog posts and turn them into visuals. 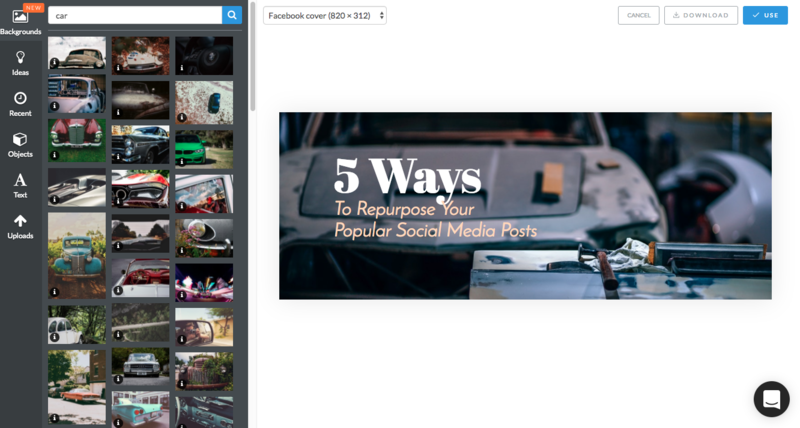 Repurposing your best social media posts ensures that your content will journey throughout the social media world where more people will see and interact with them. By using PromoRepublic to analyze, create, repurpose, and schedule your highest performing content, it will guarantee your posts live up to their full potential.